More art! This is another one of my little artworks made to fit a little frame. In case you’re wondering where the board comes from, it’s all native to the studio! I have dozens of these little 5×7″ boards all primed and ready to become fabulous works of art. The name of the piece, “Manama” is taken from the stamp sewn in the corner. I had no idea where that was, so I asked my good friend Wikipedia, who informed me that it is the capital of Bahrain. 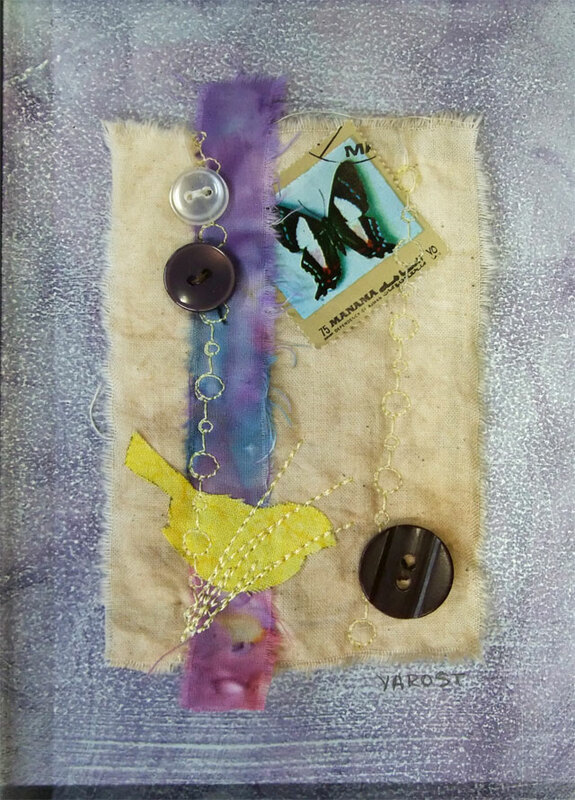 This entry was posted in Art, collage and tagged art, collage, Manama, mixed media, postaday2011, quilt, Quilting, Studio droppings, Visual Arts. Bookmark the permalink.